Improve your spray painting efficiency via automation or rail systems. In today manufacturing environment its all about efficiency. Production line spray booths in either Online ( On production line) or Offline (off production line) formats can save valuable time and reduce the labour content associated with spray painting manufactured parts. There a many options associated with production line booths, all of which are designed to increase volume throughput, reduce labour and increase product quality & consistency. Around the world today there are production lines that work almost completely with robots; the lights are off but the factory is buzzing. This is the concept that TRUFLOW carries through to the paint shop. While its not feasible for every system to be fully automated there are simple gains to be had by looking at overhead rail systems, conveyors and combined booths with drying rooms. Our experienced team is on hand to discuss a solution with you today. Moving products can be as simple as a manual overhead or floor mounted rail system with push trolleys allowing operators to move parts through the line. 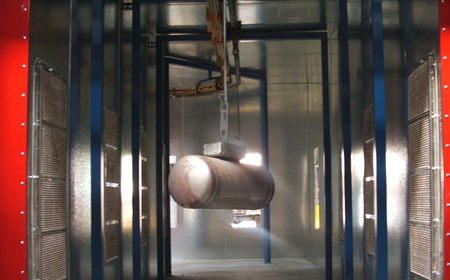 Drying rooms for paint curing applications can be applied with conventional Gas heating or with Radiant Infra Red. These drying tunnels can be batch ovens or conveyor operated moving production lines. Fully motorised conveyor systems can be integrated into the spray booth and oven design to provide optimal throughput and production control. In order to meet production line paint volumes filtration should be utilised that can support over 4lts of paint per hour. Water filter spray booths also mitigate over-spray transfer, provide a clean environment and reduce odours. 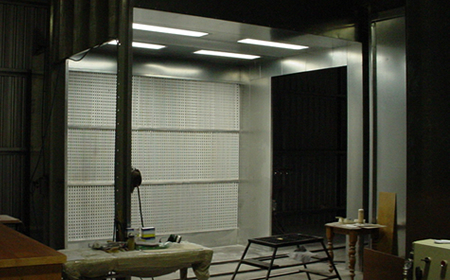 Every System is designed specifically to suit the parts being sprayed. 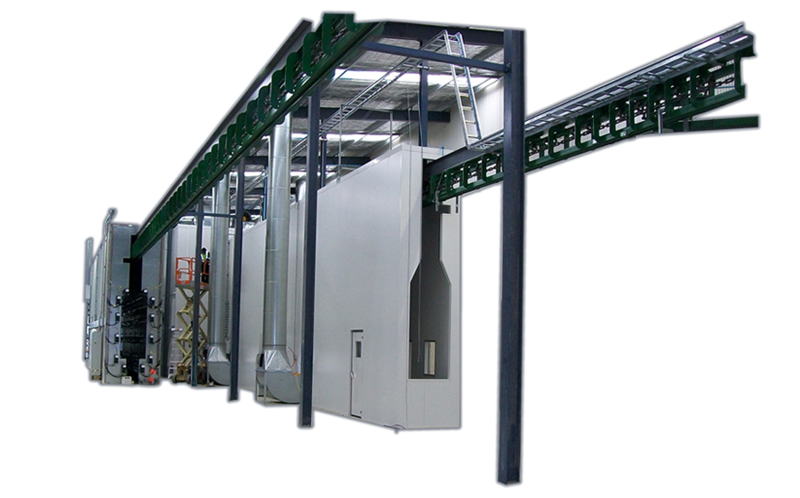 Part hangers are designed to hold the part, booth openings are designed to allow for part access. 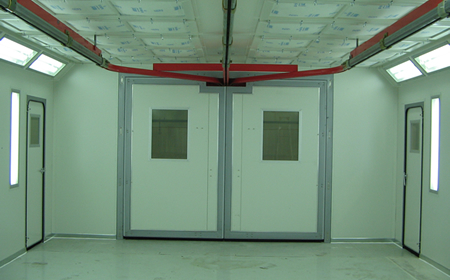 Dry Filter Spray Booths are ideal for low production volume applications. These spray booths can still be fitted with a manual rail for part manoeuvrability and a silhouette cut out for the part to move through. 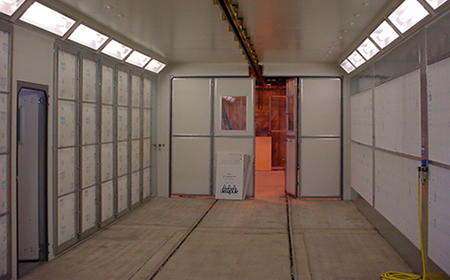 Ideal for batch production or refinishing, an offline booth can run single or multiple manned stations for operators to carry out spray works and either send parts back onto the line to run through the curing oven or simply dry in position with bake cycle.